Futurama Season 9 Episode 12: "31st Century Fox"
Amy: Finally, a uniform I'd be happy to be caught dead in! Zoidberg: And boy does it wick away moisture! Gallons and gallons of it! Bender: Yo, Squidward Scissorhands. You got this in an adult robot medium? Tailor: The fox-hunting uniform? 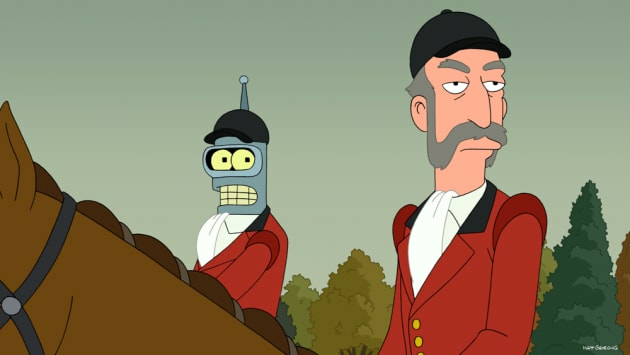 You, sir, must be a robot of noble bearings. 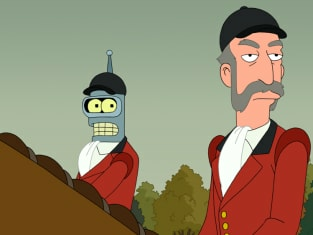 Bender: Well, I am descended from Prince Albert's can.